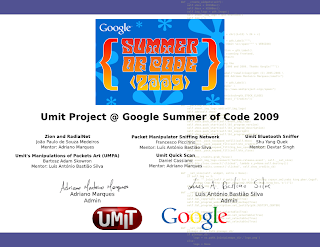 At Umit we always wanted to say an extra thank you for all of the students and mentors that helped us through Google Summer of Code since 2007. 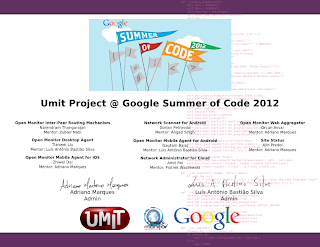 The certificate idea came up, and we decided to make it special and deliver to all of those heroes that made the good code now our community can enjoy for free. We've participated on Google Summer of Code all years since 2007 (in 2005 and 2006 Adriano Marques participated as student), thus we'd have to make 6 different certificates featuring GSoC's logo of each year. To make it special, we added some design perks to it: the Color Scheme and an Easter Egg. 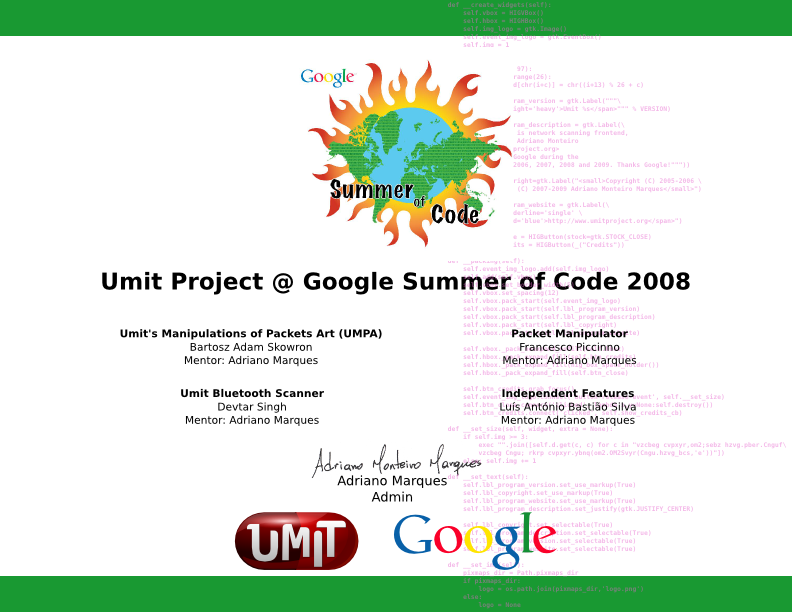 Umit's anniversary is considered to be August 29 2005, which is around the time the first GSoC was over, and the first release of Umit was made public. 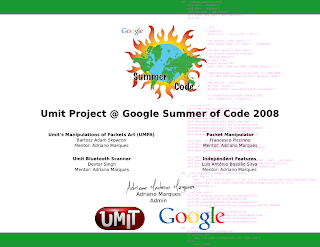 For each certificate, we got the epoch number for the anniversary in that year (08/29/2007, 08/29/2008, ...), extracted the 6 digits in the middle of the epoch and splited it in 3 pairs of hex numbers. 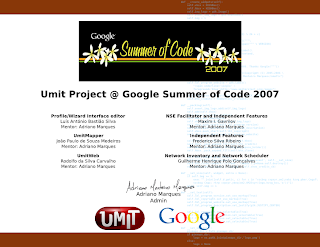 Then, we turned those numbers into colors (RGB) and generated an inverse color for it using a XOR of the extracted number against white in RGB (the number FFFFFF). The result was a set of colors for the top and bottom stripes and the Easter Egg in the background. 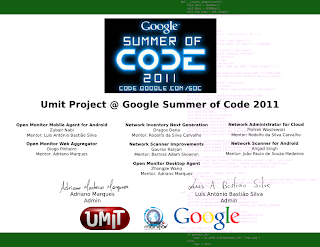 We even wrote a script to generate the HTML below showing those colors! 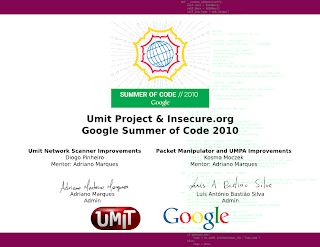 The other special thing about these certificates is that they feature real code that is present in our repositories since 2005 and that all of those being honored have gone through at least once in their life with Umit Project. 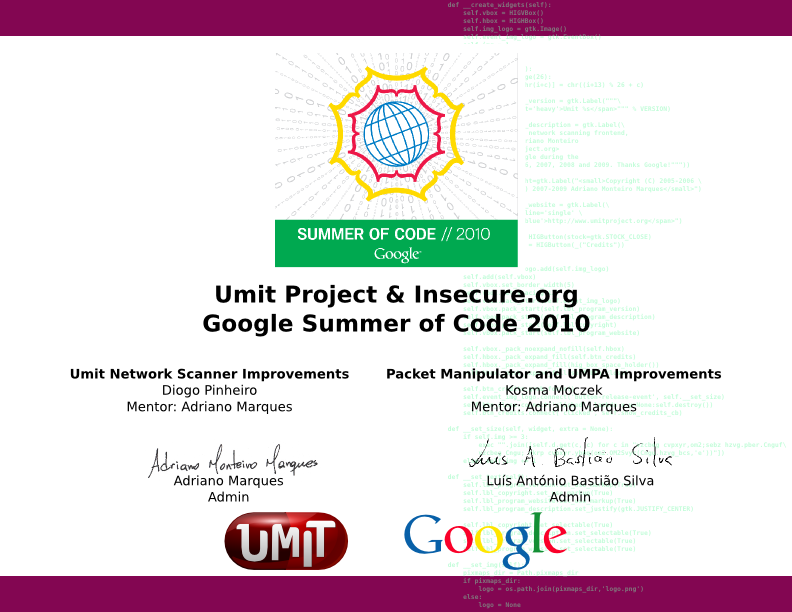 It is also part of the About of the Umit Network Scanner and one of the places where we keep our permanent honors to all of those who helped our community. Ok, enough details! 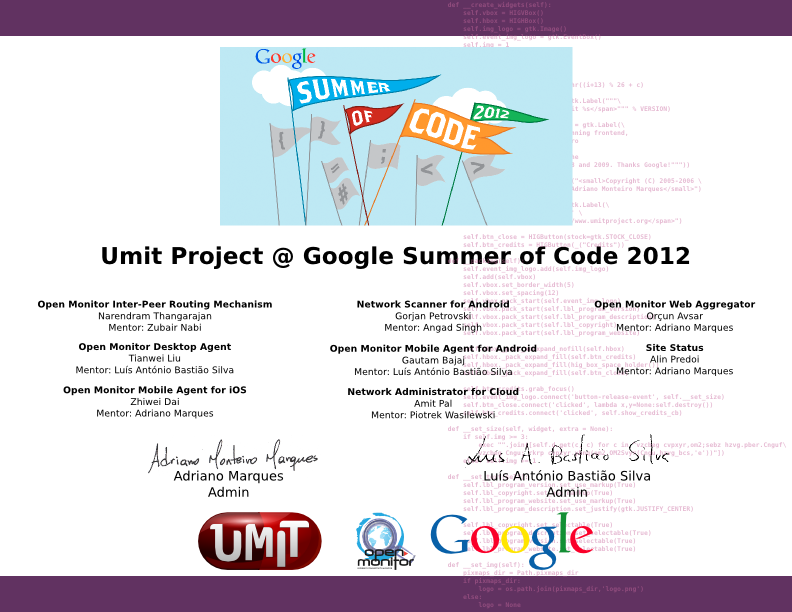 Here are the certificates!